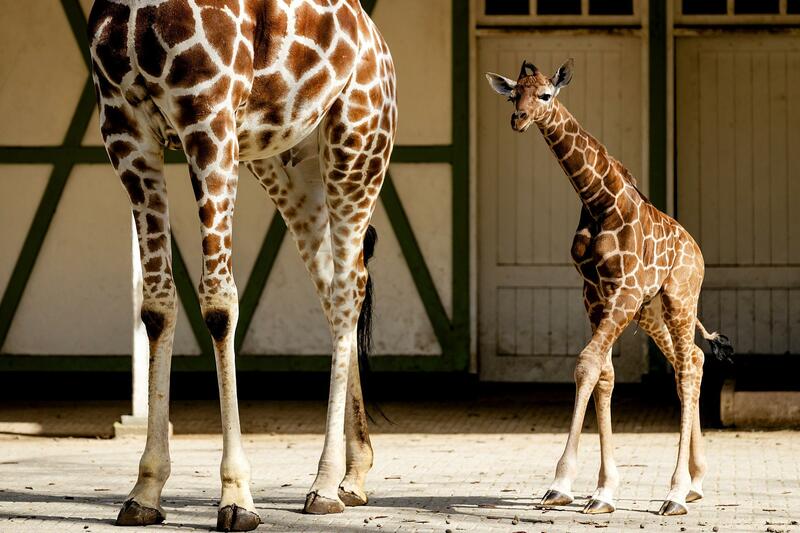 A newborn giraffe follows its mother outside into their enclosure for the first time at Artis Zoo in Amsterdam in 2018. In a new study, researchers say giraffes' spot patterns can be traced to their mothers. One-day-old baby giraffe calf Gus looks at the camera on May 12, 2017, in Bristol, England. This little guy may have inherited his spots from his mother. Giraffe coat markings are more complex and variable than the eye suggests: The researchers studied 11 spot attributes in total. The researchers did not document any mother-offspring similarity between the number of spots and their area and perimeter. The study has produced the first data of its kind. Scientists have previously hypothesized that variation in spot patterns may camouflage newborns against predators and that the animals' spots are conferred at random. One prominent biologist, Anne Dagg, described similarities between parents and offspring in a zoo population in 1968, but analysis and objective measurements of spot characteristics were lacking in wild giraffes until now. The research was borne out of curiosity for a definitive answer. "We were inspired by so many people's natural curiosity about giraffe spots and where the patterns come from. 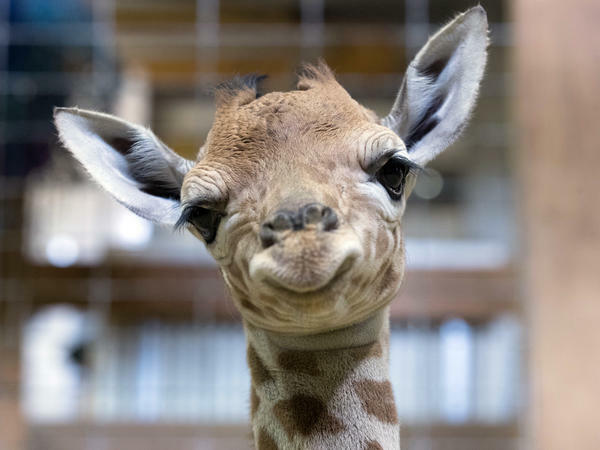 It was a consistent theme of question we heard when talking about giraffes," Derek Lee, principal scientist at the Wild Nature Institute and one of the authors of the study, told NPR. "We began looking for answers in the literature and found nobody had measured complex mammal coat patterns like spots." Lee and his team conducted their study by using image analysis software to determine the similarity of spot traits between wild Masai mother giraffes and their offspring in Tanzania, where the animals exist free and unfenced across vast landscapes. Over the course of four years, the scientists photographed the coats of 31 sets of mother-calf pairs. They found that some characteristics, like roundness and smoothness, were strongly linked between mother and offspring and likely to be heritable. The researchers also examined how well a calf's spots protected them from predators by allowing them to blend in with their wildlife surroundings. They photographed the same 258 juveniles six times a year for four years, noting when certain juveniles dropped off their radar. The team then ran that data through statistical analyses to estimate the likelihood of survival within the group. Calves with larger spots and irregularly shaped spots were more likely to survive their first few months of life, according to their findings. "This increased survival could reflect better camouflage of these young giraffes, but it also could be related to other survival-enhancing factors, such as temperature regulation or visual communication," says a press release. Lee adds that other variables like good genes and maternal investment may also be correlated with spot traits. "Other alternative functions of the spots also could be under natural selection at different periods in a giraffe's lifetime such as temperature regulation or visual signaling to identify individuals and kin," he said. The team hopes their findings will inform further investigations into the "developmental and genetic architecture of complex mammal coat patterns and their adaptive value," as the study's conclusion says.